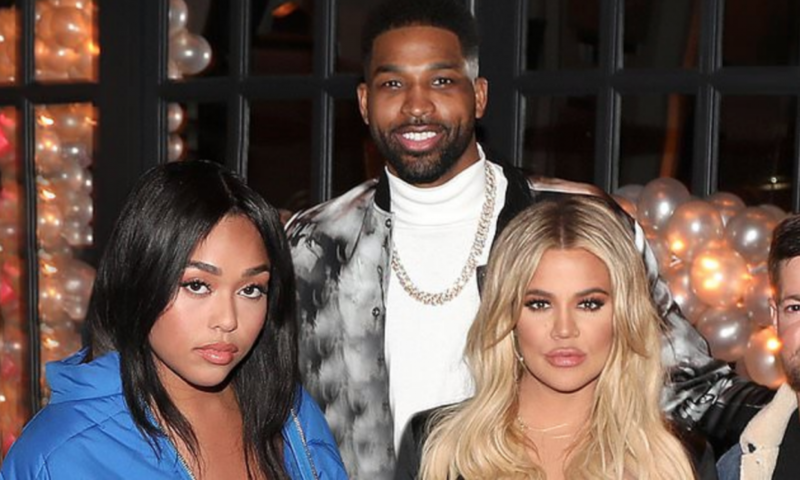 Jordyn Woods, Kylie Jenner’s best friend, and Kardashian family friend is being accused of hooking up with basketball player Tristan Thompson. The cheating scandal first became viral after an Instagram video was released by Hollywood Unlocked. A reporter claimed they saw Thompson, who is the significant other and father of Khloé Kardashian’s daughter, and Woods getting cozy at his place during a party. Denying the incident at first, Thompson tweeted “FAKE NEWS,” before deleting it. This isn’t the first time he has been caught being unfaithful. However, with who it was this time has the world shocked. According to a source, at first, Woods reached out to Khloé to tell her that she went to Thompson’s party “to make sure none of the girls stayed over.” When she was confronted, later on, she broke down admitting the truth. Woods, 21, did an interview on TV show “Red Table Talk” with Jada Pinkett Smith to discuss her side of the story. She claims her family is being targetted aggressively. The model and friends attended an afterparty at Thompson’s after their night out at a bar in Los Angeles. She claims she was not invited by him, but her legs were on top of his at one point and he kissed her before she left. But, Kardashian claims she lied. “Why are you lying @jordynwoods?? If you’re going to try and save yourself by going public, INSTEAD OF CALLING ME PRIVATELY TO APOLOGIZE FIRST, at least be HONEST about your story. BTW, You ARE the reason my family broke up!” Kardashian angrily wrote on Twitter. Although she spent time with Jenner the day after, considering she lives in her guesthouse, Woods did not come out immediately about the situation because she did not want to risk their relationship. Jenner and Woods have not been seen together since the controversy. It is unknown whether they will rekindle their friendship. After a small hiatus from social media, Woods was seen at a restaurant on Friday looking unphased. She has also been offered multiple business deals relating to makeup and fashion. Kardashian is only worried about building a positive relationship with her daughter, True. She seems nonchalant about the cheating scandal by this point and Thompson is obviously out of the picture. As if trusting anybody is hard enough while being a famous celebrity, this is a real stab in the back for Khloé Kardashian and her family. It is unlikely Woods will recover and rekindle her ties with the Kardashian/Jenner clan.